DISCLAIMER: I realize now that I was a bit too hasty in writing this review. The album is merely good and lost its luster rather quickly. It hasn't held up to repeated listens, save for a few tracks, and while the new band membership is excellent, Sabaton still has work to do. One aspect, in particular, makes Sabaton's latest effort, Heroes, a departure from previous albums: each track is based on individual fighters, rather than specific battles and historical events. But is the lyrical shift as radical as critics suggest? On paper, it certainly seems so, but listening is a whole 'nother story, as Heroes, like other Sabaton records, focuses primarily on WWII and related happenings important to the band's identity. Yes, there are discrepancies, but real-world experience often tells a different tale. Like in the case of a car's specifications laid out on paper, the driving experience can be a totally different animal, and the situation is usually very much the same for music. Indeed, it's dangerous, and perhaps idiotic, to judge an album before taking a listen and, as it turns out, Heroes handily tops Sabaton's previous record without breaking a sweat. A number of highlights are spread across the track listing--opener "Night Witches, "No Bullets Fly, "Resist and Bite," and "Far from Fame"--and make the album worthy of a look on that basis alone. But what's even better is how the album flows as a complete piece, a trait far too undervalued today, as many artists focus on individual songs and independent musical ideas instead. Neglected a cohesive product goes when bands put emphasis on singles when it would be far more advantageous to their career--in the long run--to aim for quality across a greater body of work. A parallel can be drawn between Heroes' fighters' personal struggles and Sabaton's internal drama in 2012 when the entire band split, save for members Joakim Brodén and Pär Sundström. 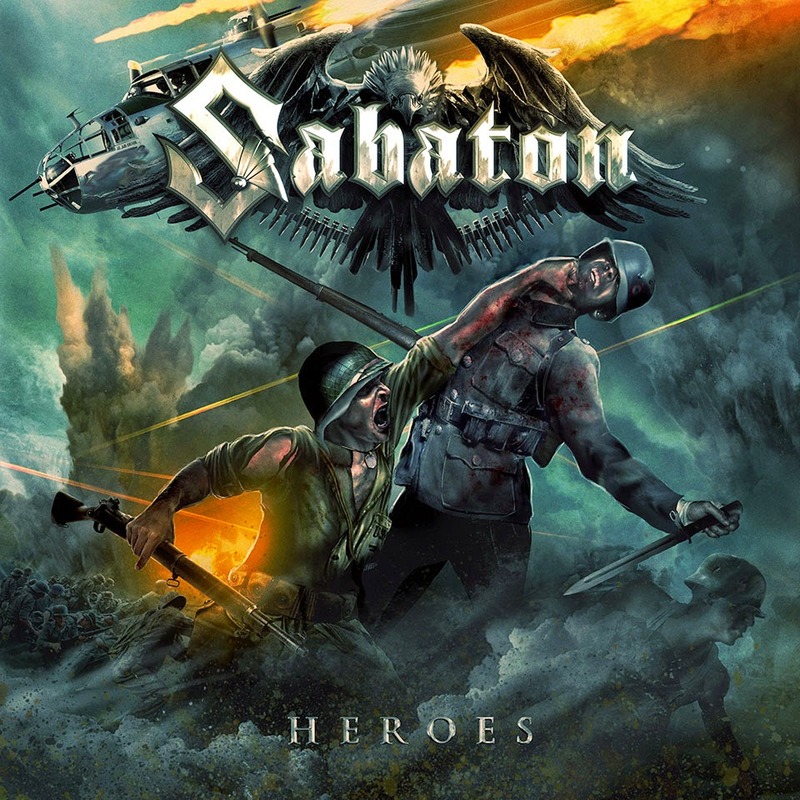 In most instances, the brave soldiers and mercenaries battling in each of Heroes' songs emerged victorious or were bestowed with the highest honors following their efforts, later in life, or posthumously--which isn't unlike Sabaton, who endured the worst rift in the group's history, picked up as if nothing had happened at all, and became a better band for it. Put another way, Sabaton experienced a rebirth of sorts, not just musically, but lyrically, with a focus that's just as entertaining as it is academic. The sheer research put into Heroes' track roster is staggering as it uncovers long-forgotten wartime bravery and legendary tales that, without a re-imagining of the past, would be only a fading memory. Relegated to dusty, old history books, "No Bullet Fly's" inspiring tale of compassion, where a German plane assured that a crippled American bomber returned safely to its home base, would be a casualty to the depths of time without Sabaton. The same goes for "The Ballad of Bull, " where an Australian solider rescued 12 wounded American soldiers during WWII. Yet what's most confidence inspiring about Heroes is how it decides Sabaton's future--the clean slate it provides creates endless possibilities for creativity and a new standard from which to work from. And not only that--the new lineup is possibly the best the band has had in their 15-year existence. In more ways than one, Sabaton is here to stay. A bright future is ahead. Soldier of 3 Armies is the best track! Carolus Rex should be the new Swedish National Anthem!